When I first saw the Envelope Punch Board I thought, I could live without it. Who needs yet another tool to just make envelopes, not me, how wrong was I. 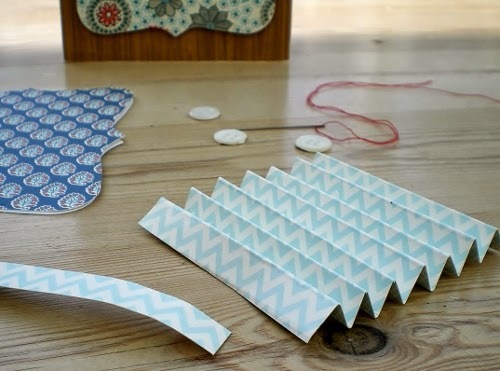 Thanks to all you ingenious and talented paper crafters, there's plenty more you can to do with it, just take a look on Pinterest or Youtube if you're still not convinced. 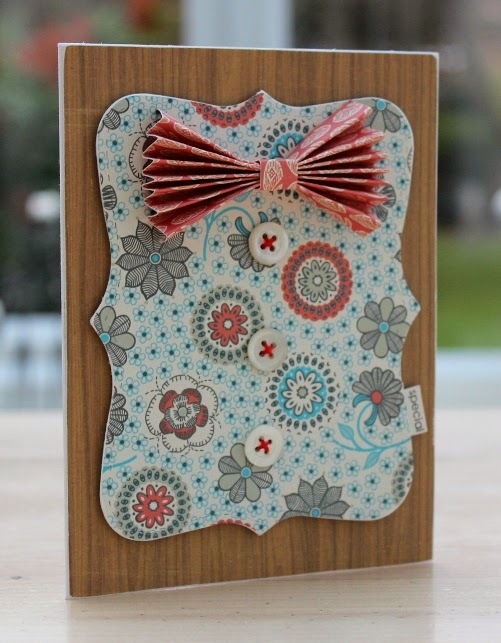 Here's my first project, a cute little tab tie gift box, the tutorial is here - so simple. I've used bright and summery papers, a gift from Stampin Up USA, that I've been saving for the perfect project. You're going to be seeing a lot more of my adventures with the envelope punch board. 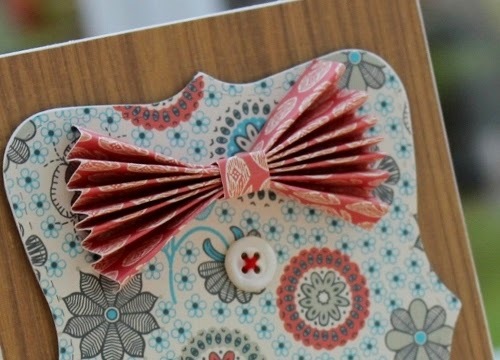 Forget the fancy dies and punch boards you can make a simple paper bow with just the standard tools any card maker or paper crafter has in their tool kit. A trimmer, scoring board and bone folder. 1. Trim patterned paper to measure 14 x 6 cm. 2. Score and concertina fold along the longest side at 1 cm intervals. 3. Trim a small strip of paper 1 cm wide and wrap around the centre of the bow securing with strong glue. 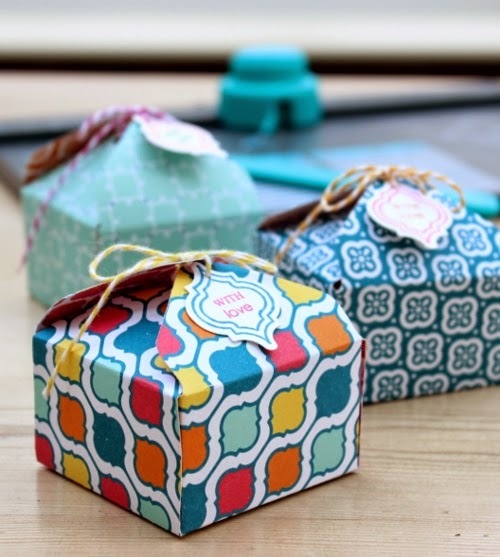 Use to decorate cards and gift wrapping.